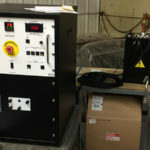 Cable testing covers many topics and a broad range of testing methods and equipment, including diagnostic methods of insulation testing such as tan delta assessment and partial discharge detection. 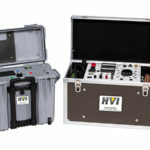 HVI offers some the most reliable and easy to use tools for assessing cable health in addition to the VLF withstand test. 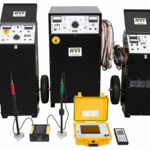 Tan Delta, also called loss angle or dissipation factor testing, is a diagnostic method of testing cables to determine the quality of the cable insulation. 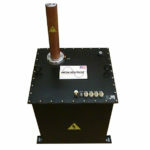 Using a VLF unit as the voltage source and a divider to make the measurements, the voltage is raised while measuring the tan delta of the cable. 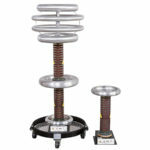 If the insulation of a cable is free from defects, like water trees, electrical trees, moisture and air pockets, etc., the cable approaches the properties of a perfect capacitor with a phase shift of 90° between the voltage and current. If there are impurities in the insulation, its resistance decreases, causing an increase in resistive current through the insulation. The extent to which the phase shift is less than 90 degrees is indicative of the level of insulation contamination, and that “loss angle” is measured and analyzed. The absolute TD number is important, but if the curve trends sharply upward as the voltage is raised, the cable is highly degraded. With TD testing, cables can be rated as highly, moderately, or slightly degraded. 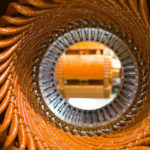 The resulting data can help prioritize cable replacement, injection, and/or determine what other tests may be warranted. 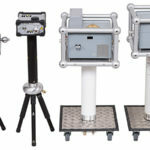 TD equipment cost is moderate, the test is easy to perform, and the results are straightforward. 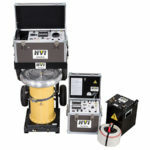 HVI’s tan delta measurement tools pair seamlessly with our VLF E Series test equipment. Our custom software, VLF E-Link, is designed to generate TD as well as VLF withstand test results with flexible reporting options. 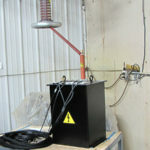 Partial discharge testing is fairly new using VLF, but it is a proven method that has been widely accepted. The advantages of using VLF rather than power frequency systems include smaller and lighter equipment, greatly reduced power consumption, and lower price. PD testing attempts to locate defects and measure their severity along the cable path. While TD testing reveals the overall health of the cable, PD testing pinpoints locations of electrical discharge. 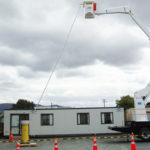 The operator can then determine whether the location or level of PD is problematic or acceptable. Any PD in the insulation at levels near or slightly above operating voltage is unacceptable, whereas accessories can survive with much higher levels of PD. However, with no standards as to what constitutes acceptable PD at a given voltage level, interpretation can be complex. 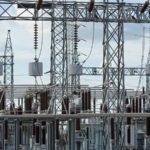 Knowing where PD begins relative to applied voltage compared to normal operating voltage and where it extinguishes when voltage is lowered provides valuable data. 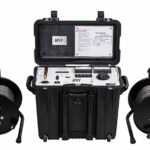 PD testing adds a valuable dimension to cable testing, although it is more expensive than TD. 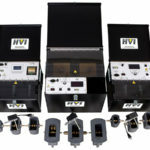 HVI offers a combined partial discharge and tan delta cable diagnostic testing system from Power Diagnostix Systems GmbH, the ICMflex. 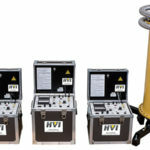 HVI has paired it with VLF AC technology for field testing medium and high voltage cable. 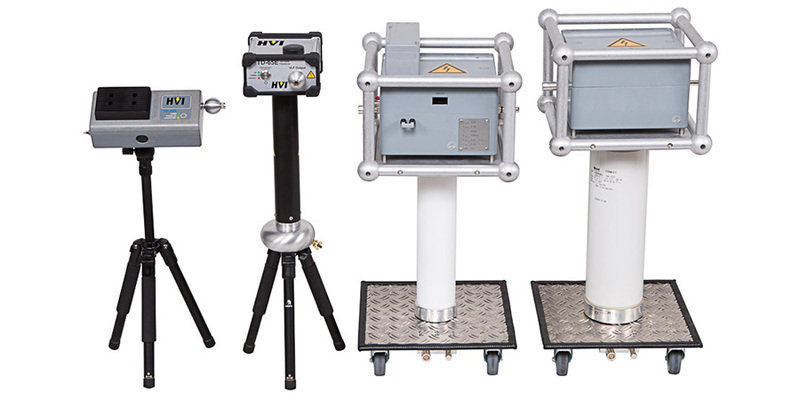 PDIX products are among the most utilized and top rated PD/TD testing systems in the world. 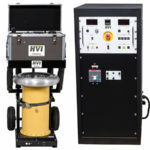 By combining HVI’s VLF products with PDIX products, users can perform VLF AC withstand, partial discharge detection, and tan delta measurement on medium and high voltage cables, rotating machinery, and other apparatus with one integrated package fully supported by HVI and PDIX. Contact HVI sales at 518-329-3275 or [email protected] for additional information about cable diagnostic tools.